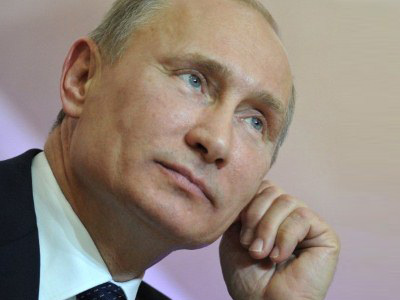 Presidential candidate Vladimir Putin has told the country’s leading political scientists that his main objective is to create a state system which would possess a constant drive for development, and still provide sovereignty. “The primary task is to create an organism, an economic and social system that would be a living organism guaranteeing sovereignty, and yet vividly reacting to the challenges of the times,” Putin said at a Monday meeting with political scientists at the Prime Minister’s suburban residence of Novo-Ogaryovo. The meeting was organized to discuss Putin’s series of program articles in the Russian press, especially the last one dedicated to the political system. Putin went on to say that the United Russia party is needed in the parliament to continue with the national development program. 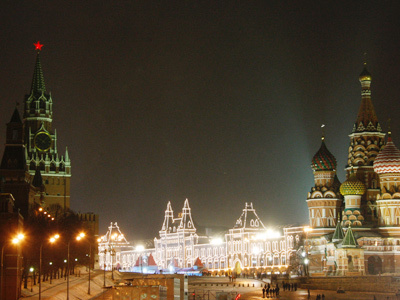 “United Russia is needed as a foundation of the State Duma. Unconditionally. 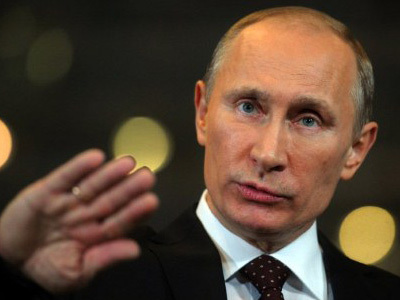 I have said this many times and I have repeatedly mentioned the crisis period – if we had not had the opportunity to quickly make decisions at the lawmakers’ level, we could not have got through the crisis with such minimum losses,” Putin said. The premier, however, also noted that he welcomes the current shift towards less state regulation in politics. He said introducing elections for the Federation Council (Upper Chamber of the Russian parliament) was a possibility, and that liberalizing legislation on political parties would make sense. But still, Putin strongly warned against national parties based on ethnic principles, as this carries a risk to the country’s integrity. “If we start to split the parties now, and this is where we are heading, there is some sense in this, but we must by all possible means prevent the founding of ethnic parties – or we will pull our country apart,” Putin stressed. The PM reminded the audience that Russia has already has direct gubernatorial elections in the past, but the results of these were somewhat sad. “What were these direct elections down to? Candidates were backed by local oligarch structures, and sometimes by criminals, who were directly pressuring the process,” Putin recalled.Of course, these negative examples must not hold back democracy, but they must not be forgotten, Putin said. Finally, the Prime Minister suggested that society must hold direct discussions on the issue, and together work out appropriate methods. Speaking on the nearing presidential election, Putin stressed that his competitors are sane and experienced people, and that none of them could betray the nation’s interests. The election programs of other candidates, however, are not realistic, the Prime Minister said.Putin criticized most of the populist suggestions made by his rivals, such as the move to elect judges or to introduce tax-free regulations in the Northern Caucasus. Putin supported only Vladimir Zhirinovsky’s idea to dissolve NATO, while complaining however that this was unrealistic.“I think this is not possible. This is not a realistic demand, but it is right, because no one needs NATO anymore. 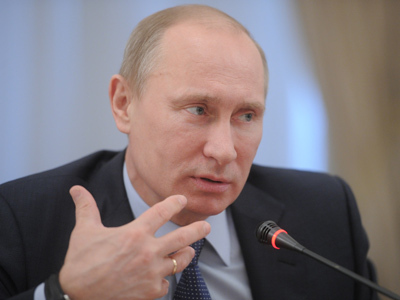 It is a Cold War rudiment,” Putin said. 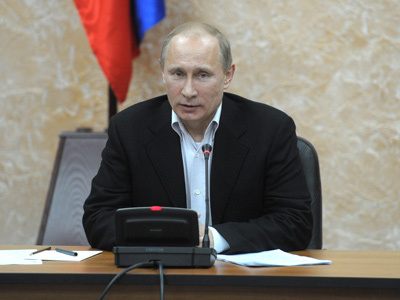 Putin noted that the calls on the opposition’s side to free political prisoners sounded rather strange. “In my view, we do not have political prisoners, thank God, even though everyone is talking about them without saying exact names,” Putin said. “I wish they showed me a single man who is now behind bars for political reasons. Some activists have been detained for 15 days, but they were released long ago. If there was someone who stayed in prison for 10 or 20 years, like Nelson Mandela – we do not have such people,” he said.